I admit having over-consumed fashion pics in the recent weeks. After hundreds of shows and dozens of designer discoveries, I have reached the most complete bulimia and now need some digestive tea. Imagine how grateful you welcome a talented storyteller after a good hearty meal. 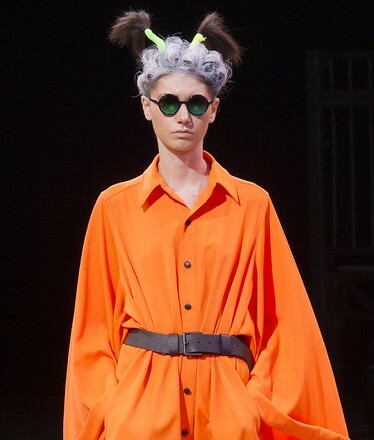 In the same spirit, at the end of a month of fashion shows, I want to tickle your common sense with some images that I found odd and funny at Paris Fashion Week. Marc Jacobs has definitely made an obsession with the LV initials that stick to the skin. 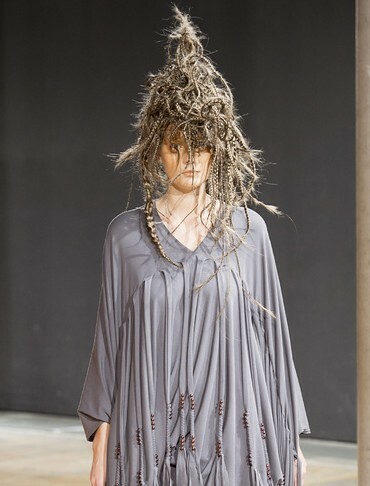 Primitive hairstyle of Junya Watanabe show are so useful when you do not want to say hello to your neighbor. 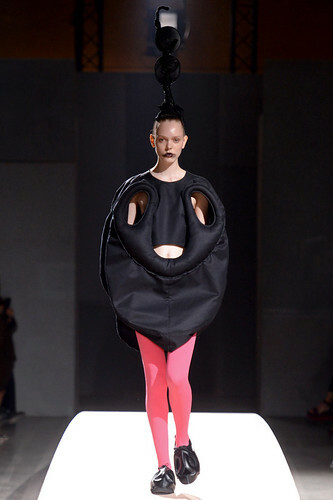 I love the sculptures of Comme des Garcons, but when seeing these images, I imagined myself trying to fold a pop-up tent, the thing supposed to be simple but in which you invariably remain stuck. Celine calligraphs eyebrows. After the trendy thick eyebrows, what a fresh air! Imagine also the Chanel makeup on a school teacher. She would hypnotize the entire class. 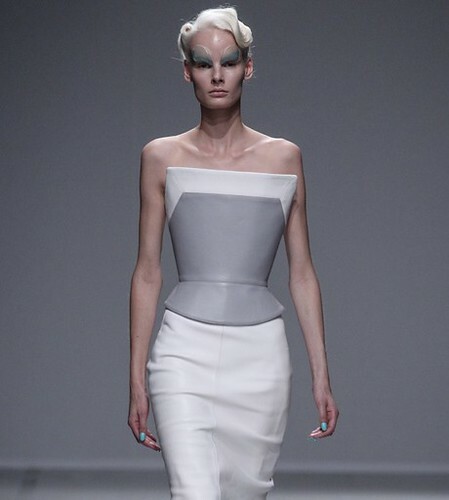 Gareth Pugh instills a good dose of science fiction in the makeup. Provocative looks are part of the Vivienne Westwood brand’s DNA. And because wine consumption continues to decline in France, may grape leaves be into fashion? Yohji Yamamoto likes grey hair. After the cult of youth, now comes the religion of aging. Thank you Vogue.fr for these pics. As you can notice, I’m not talking about couture, but images, faces, accessories, entertainment. Fashion is no longer a matter of fabric and cut, it is mainly the expression of our time, our desires and our fantasies. Make sure to keep your humor and good mood when you dress up in the morning! Being serious is such a boredom! 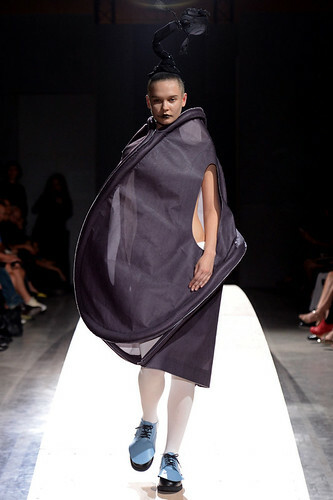 This entry was posted in Moods and tagged fashion week. I agree! Being serious is boring! Thanks for the dose of *fresh*!